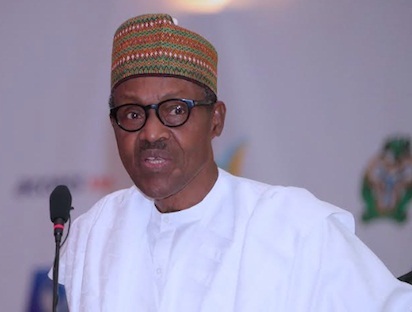 President Muhammadu Buhari has changed the corruption narrative that the international community had about Nigeria, Permanent Secretary (PS), Ministry of Foreign Affairs, Amb. Olukunle Bamgbose has said. Bamgbose told Newsmen in New York that the development was a plus for Nigeria’s global image. The PS also lauded the appointment of Buhari in January by the African Union to serve as the ‘Champion of the theme of the year’ for the continental body. The AU has anti-corruption as its agenda for the year 2018 with the theme: ‘winning the Fight Against Corruption: A Sustainable Path to Africa’s Transformation’. Bamgbose said: “The Africa region has recognized the fact that Mr. President has taken the gauntlet to fight corruption in all its facets and I think that’s the first thing. “African leaders will recognize you for who you are and I think that’s one recognition that they have given Mr. President’’. According to the PS, a lot of things that needed to be done were put in place at that Summit in January in Addis Ababa. “But the most important thing is that unlike before when everybody saw Nigeria as a very corrupt country, I think the narrative has changed now with all the things that Mr. President is doing in the country. “Recently, there was the Executive Order that he also signed, where those who are found to be very corrupt would forfeit all their assets, including funds and buildings. “It’s good because the narrative has now changed. “Before, when they mentioned corruption, your heart will jump, especially if you’re a diplomat because you knew the next thing people would be thinking, is Nigeria. Bamgbose said Nigeria’s foreign policy objective was effective enough to protect the interest of Nigeria and its citizens anywhere in the world. According to him, the foreign policy is a derivative of the Constitution and, therefore, does not change irrespective of whoever is in power per time. He, however, said that the tools to put foreign policy objectives into practice are what changed per time. He urged that diplomats must be equipped to deploy the tools effectively. The outgoing PS, while assessing Nigeria’s position among the comity of nations said Nigeria is doing well and is strategically positioned at the sub-region, continent and globally. According to him, the world knows the importance of Nigeria and the country does not need to always tell the world about itself. Bamgbose, who joined the Foreign Service in 1983 and is due to retire in September, said there is the need to instill discipline into the Foreign Service. He said there were a lot of rots when he assumed office and one of the reforms he carried out was to lay emphasis on discipline among the staff. The PS said he also prioritized the welfare of the staff as it was one of the issues causing unhealthy frictions between the union and management. He said he was able to achieve some level of quietness and harmony during his tenure because he insisted that “the right thing must always be done”. He said training, retraining and emphasis on merit rather than “godfathers” syndrome, especially as it affects foreign postings, were among his reforms. Bamgbose stressed the need to give junior staff opportunities to have exposure through foreign posting rather than making it the exclusive preserve of middle or senior cadre officers. The PS described the ministry officials as one of the best and advised them to always exhibit the best characters expected of diplomats the world over.